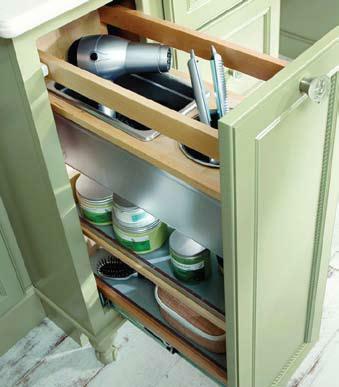 You are currently browsing the tag archive for the ‘Cabinetry’ tag. Tricey and Doug Edwards had a decision to make, to gut or not to gut (their kitchen). That was the question. The kitchen, as we all know, is the heart of the home, the gathering place. We also know it can be the most expensive room to re-do. I explained, to the best of my ability, the pros and cons of a “face lift” vs a “gut job.” A face lift often accomplishes all your needs. You can leave the existing layout and “face” everything else. Cabinets can be painted, appliances switched out, floors changed out or refinished and of course paint, tile and furnishings. In many cases it can be all you need for a new, clean and fresh look for less. Our next consideration was major renovation – moving walls, new cabinets, switching to gas, maybe bumping the room out for additional windows. It’s a hard decision to make because as great as a face lift can be, we all really want the blow out, something totally new. we all really want the blow out, something totally new. My only advice is this, if the budget allows and it’s the only major thing left on your home renovation list – go for what you really want. Quality cabinetry isn’t an item someone should sell you. It’s an investment you should choose after educating yourself. As an educated homeowner you can end up actually spending less—often far less—for the quality and design you want, by reviewing the details of the perceived high end estimate. Do not assume the lowest estimate is your best deal. I remember a recent case where a homeowner got two estimates for new kitchen cabinets. Sometime later he called me because the door style he wanted wasn’t included in the lower estimate— and he’d been told by his vendor these doors would add $7,000 to a $24,000 job. Are all the door styles the same price? Certain styles are more in demand so vendors charge more. It’s the same reason that blue jeans with holes cost more money, because they’re the current fashion. Ninety percent of cabinet companies buy doors from someone else. So by the time the doors get into your kitchen, you may be paying for the profit and overhead of two or more middlemen. At Old River Cabinets we manufacture our own doors. It doesn’t matter what style you choose since the prices are all the same. The Arts and Crafts Movement that began in England in 1880 and held influence throughout Europe until the 1930s advocated the qualities of simplicity, use of honest materials, and an emphasis on craftsmanship. The Movement was a prelude to the Bauhaus School and modernism. 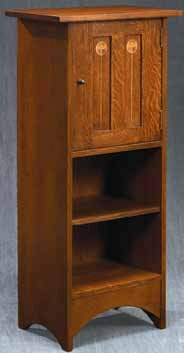 In America, Gustav Stickley, a leader of the American Craftsman Movement, which spawned the Craftsman (also known as Mission) style of furniture, was ahead of his time. Gustav believed, as leaders of the Bauhaus did, in incorporating machinery to improve the production process. T oday the company that bears his name, Stickley Furniture, adheres to the guiding principles of the Arts and Crafts movement: dedication to quality, integrity, and pride in creating pieces of the finest workmanship. Using solid construction and the highest quality woods, the furniture created by his company was not only beautiful to look at and practical to use, it was made to last. Staying true to its roots, Stickley Furniture continues its tradition of fine design principles born in the Arts and Crafts movement with designs that also reflect the Bauhaus and modernism periods that followed. Furniture is unique in the industry. He also notes though the Stickley name is associated with the Mission furniture created during the Arts and Crafts Movement, the company has carried the craftsmanship into new designs that fit well in an urban lifestyle. Stickley Furniture is located at 721 Governor Morrison Street in Charlotte. 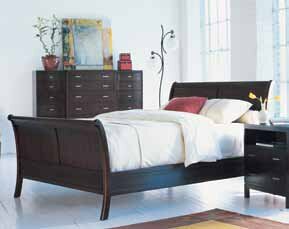 Find them online at www.stickley.com or call them at 704-442-7171. 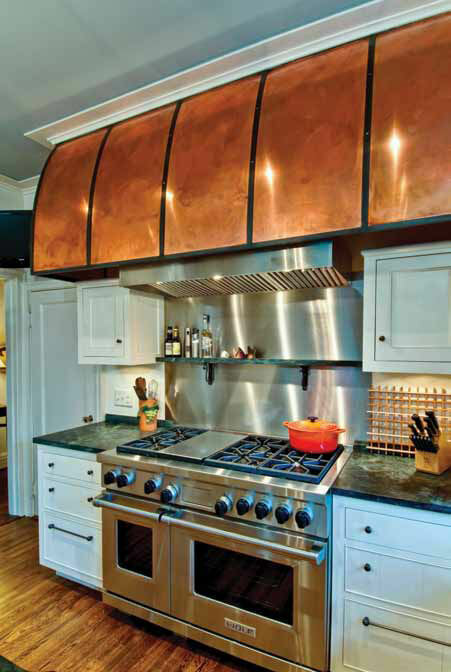 Clean lines, creative storage and value are the hottest trends in kitchen cabinets right now. While cabinet exteriors are less ornate than in years passed, interior storage is becoming more sophisticated in order to maximize space and offer greater accessibility. Green remains a hot trend, as consumers seek options that are both environmentally friendly and formaldehyde-free, while value remains a key concern at all price points. Design trends continue to favor clean lines and a streamlined, uncluttered appearance, with classic, timeless design the watchword of the day. Value remains critically important to consumers, however, that doesn’t necessarily mean inexpensive. 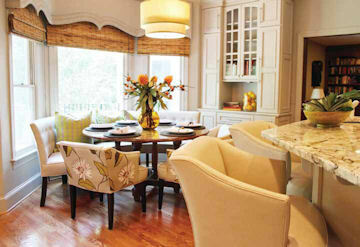 Rather, it’s about offering cabinets with features and options that consumers really want and need. Consumers are demanding more features at every price point, and new technology is helping to make this a reality. As a result. 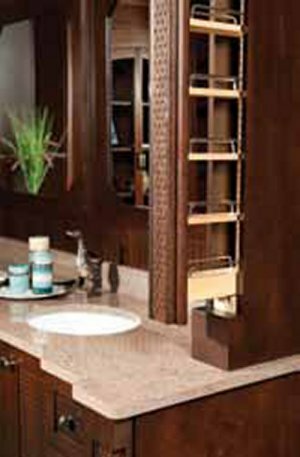 semi-custom and even stock cabinetry are offering more options and better storage. With oversized trophy kitchens falling out of favor, storage has become more critical than ever, with clever interior storage options that maximize space and accessibility becoming not just desired, but expected. The green trend remains strong, and formaldehyde-free wood, CARB-compliant products and Forest Stewardship Council (FSC) materials are some of the more popular green requests. When it comes to wood choices, maple and cherry remain hot, while walnut and mahogany offer a more rustic look that ties into the trend toward warmer spaces. 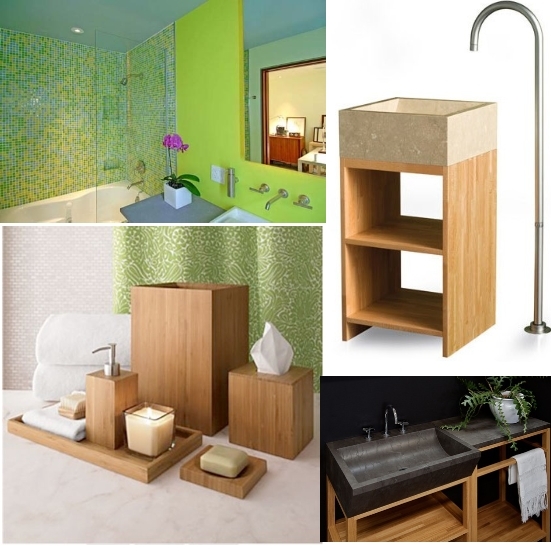 Bamboo, although a small niche segment right now, is gaining ground with the ecologically minded. 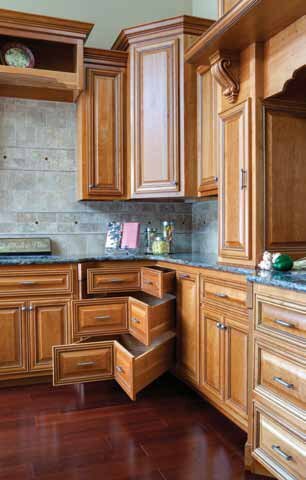 E3 Cabinets & Design is the premier custom cabinetry manufacturer and design center for all your cabinetry needs in the Charlotte Metro area. 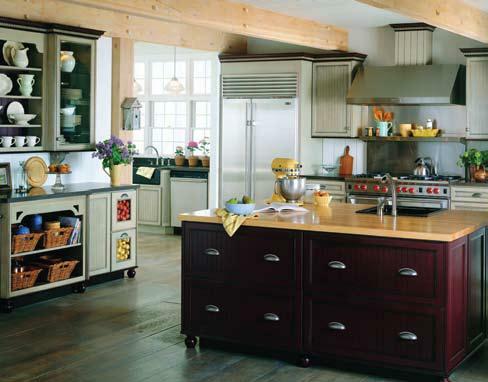 We also carry several lines of manufactured cabinetry for all of your kitchen remodels or bathroom remodel. 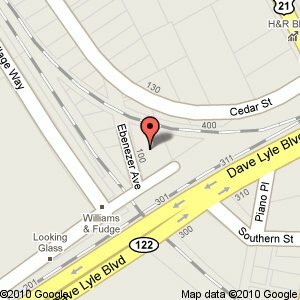 Visit our Design Center located at 130 Southside Drive, or on the web at www.e3cabinets.com. Stop by and see us Saturday, October 23rd from 10am-4pm for our second annual clearance sale. This year we are pleased to announce the participation of two local door manufacturers to give you a larger selection of products. We have great deals on display units, and in stock items. We have also teamed up with several of our manufacturers to offer special sale pricing on select items ordered during the sale. The looking Glass is located at 407 Chatham Avenue, Rock Hill, South Carolina 29730. For more information about the sale and The Looking Glass, Inc. please visit http://www.thelookingglass.ws/index.htm.